As you know we, at HideIPVPN are great F1 fans. Because of that every single year we run a special promo that allows fans all over the world to watch best broadcasts of F1 Grad Prixes! It is high time to announce this years promo and give all relevant information. According to us, the best broadcasts of F1 Grand Prix in TV are available in British TV. However to watch UK TV over the internet you need one of two things. UK VPN account that will allow you to hide your local IP address (non UK IP) and replace it with British IP address so that all UK services will recognize you as present in UK. Second method, that allows to access UK TV on may different devices is called Smart DNS. Our SmartDNS is fast, stable and will allow you to access all sites that stream F1 GP’s in best quality. It is also part of VPN packages. In order to get our VPN or Smart DNS cheaper you will need to use following code during registration of your account with us – “F12015“. 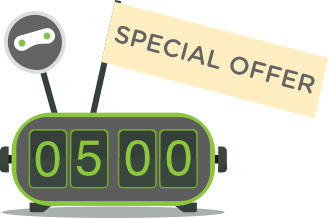 This code will grant you 50% discount on (any) VPN or SmartDNS plan in monthly billing cycle (bear in mind that other billing cycles are not discounted). But that is not all! This discount will recur 8 times on your account. This means that for 8 consecutive months you will pay only 50% of nominal package value. Yes, we know, that 8 x 50% is not really 400%, but we hope you will forgive us this small joke! Where to watch F1 2015 with HideIPVPN? Traditionally in UK it will be broadcasted by 2 TV stations. Because of that you will have 4 different ways of watching races. Lets start with calendar for this years F1. Above you can see dates of actual races. Remember, that qualifications take place one day before! Now, where to watch? All F1 races will be broadcast by SKY UK. You can watch it with both VPN and Smart DNS via SkyGo service we have unblocked last year. 10 races (indicated above) will also be shown by BBC. As such you will be able to pick up live stream at: tvcatchup.com, tvplayer.com and directly at BBC TV website. All those site are fully accessible via our VPN and SmartDNS service. So… Who will be 2015 F1 World Champion? Care to guess?